The controversial Father Michael Pfleger as Chicago's next archbishop? Not likely, but, according to Chicago Sun-Times political and societal gossip columnist Michael Sneed, not impossible either. 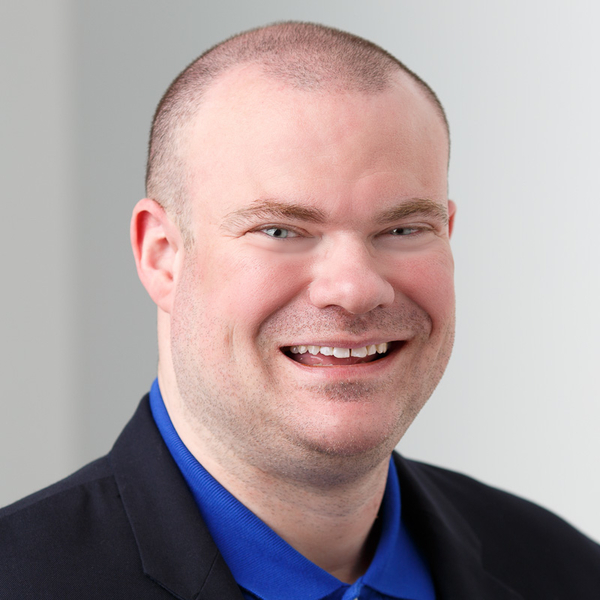 Technically, Sneed is told, a priest could be chosen to lead the archdiocese. 'Possible, but unlikely,' said the source. Hmmmm. Could the Rev. Michael Pfleger, whose ministry has embraced the poor – Pope Francis' favored flock – a possibility? I don't know that there's an ideal (arch)bishop for this archdiocese, but I wouldn't mind seeing Bishop Thomas Paprocki at the helm. Not surprisingly, at least some Jews in Israel are less than pleased with Pope Francis' visit to the Holy Land. Under Israeli law, Christians are only permitted to pray there [the Cenacle in Jerusalem, where the Last Supper is said to have taken place] twice a year, and plans for the pope to celebrate mass there have prompted weeks of protest and several incidents of anti-Christian vandalism. Last week, Israeli police and the Shin Bet internal security service handed restraining orders to some right-wing Jewish activists, whom they said intended to cause disruptions during the pope's brief visit. Earlier this month 'Death to Arabs and Christians and all those who hate Israel' was daubed in Hebrew on an outer column of the Office of the Assembly of Bishops at the Notre Dame Center in East Jerusalem. 'In this, the birthplace of the Prince of Peace, I wish to invite you, President Mahmoud Abbas, together with President Shimon Peres, to join me in heartfelt prayer to God for the gift of peace,' the pope said at a Mass in Bethlehem. God bless Stephen Ssematiko for the work he and his associates are doing in Africa with the Green Village Children Center. Click here to see their Facebook page. 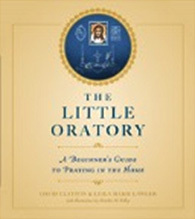 The following is most of the introduction to the recently-released book The Little Oratory: A Beginner's Guide to Praying in the Home, by David Clayton and Leila Marie Lawler. Thanks to Sophia Institute Press for allowing me to publish this excerpt in my column. Click here if you wish to order a copy directly from the publisher. We have tried with this book to answer a very basic question: How can I be Catholic in between the times when I am worshipping in church; and especially, how can I be Catholic at home? In short, how can I live a unified life of faith? For some people, the answer is part of their upbringing. As their parents did, so do they. You might call this a collective memory – a way of doing that everyone seems to know, passed along the generations. In later years this collective memory is lost, it seems. At least for us, your authors, the explanation for our own journey is that neither of us grew up in a Catholic family. We are both converts. As we grew in our faith (quite independently – we didn't meet until relatively recently), we realized that we were missing practical knowledge. You might say we were missing a Catholic culture – a life lived in harmony with the Faith. We (separately, unbeknownst to each other) set out to discover these things for ourselves. We read our Catechism, books on theology and apologetics, and Church documents and tried to find out as much as we could about the Liturgy, prayers, and devotions (especially to Mary, the Blessed Mother) and how all of this might be applied in a family setting. This was helpful, but we felt that it would have been even better if we had found someone to show us exactly what to do. The obvious thing was to ask (or surreptitiously observe) other Catholics. To our surprise, we found that very few could tell us anything. Even those brought up in Catholic homes were as mystified and ignorant as we were (or so it seemed – because it might be that we ourselves were not looking in the right places or listening to our friends when they tried to show us what to do – and that is part of the journey as well; sometimes we aren't spiritually mature enough to grasp what is in front of us). If you try reading how-to books on Catholic life, or even well meant prayer handbooks, you will often be presented with a bewildering smorgasbord of prayers, devotions, duties, and commandments. These, although they are supposed to help in life and show how to get to heaven, seem more like a burden. How does anyone manage to fit in daily Mass, the Divine Office, the Rosary, the Divine Mercy Chaplet, the Jesus Prayer, devotion to the Sacred Heart, and everything else – on top of a family life? As we found out about these things, rather than being excited about each new discovery, we became increasingly overwhelmed by the sheer volume of prayers we were supposed to be saying. The main result was an increasing sense of guilt, as the list of prayers we were failing to say lengthened. But surely this is the opposite of what it ought to be. Isn't all of this to help us through life rather than to make life more difficult? Christ told us that His yoke is easy and His burden is light (Matt. 11:30). Either this is true or it isn't. In the end, we found the truth of Jesus' precept that the Christian life comes down to two things: love of God and love of neighbor (Matt. 22:37–39). At the center of the first is our worship at Mass; the center of the second is built in the home and radiates outward. This book focuses on uniting the two by extending the Eucharistic worship into the heart of the home in the "little oratory," which becomes the visible sign of everything else. The little oratory – prayer table, icon corner, or even dining room table – isn't only a physical place; it's a way of thinking that simplifies everything. The spiritual place in the home mirrors the "interior palace" of our soul, as St. Teresa of Avila called it. At the same time, it allows us to live the liturgical life of the Church. If we get this right, it orders the rest and brings peace. Gradually (again, independently) we worked out how to put things into practice. Regardless of how humble you think your family is in comparison with the ideal family of faithful prayer in your mind, the truth remains that your family and your home are the basis of culture. If they are rooted in worship, the culture will be affected. If not, well, the culture will still be affected, but not as positively. Thus, in giving you the tools to practice your faith in the heart of your home, we hope that what we offer here might contribute to a renewed Catholic culture. Our discovery is that what Christ told us is indeed true: His burden is light – and to a degree that we had not previously imagined possible. As a result, and despite our poor efforts (and only when writing a book about the subject do we feel the force of this "poor"), our homes have become places of greater love and peace. We hope that our experiences can help you. We are ordinary Catholics, so if we can do it, so can you. God, we believe, understands our failings and supports us and completes our efforts on our behalf. The adage "Pray for rain and dig for water" applies very well here, we think! God knows that we cannot pray on our own. He sends His Spirit to help us. As St. Paul tells us: "The Spirit comes to the aid of our weakness; when we do not know what prayer to offer, to pray as we ought, the Spirit himself intercedes for us, with groans beyond all utterance: and God, who can read our hearts, knows well what the Spirit's intent is; for indeed it is according to the mind of God that he makes intercession for the saints" (Rom. 8:26–27, Knox Bible). Citing St. Paul, Pope Emeritus Benedict XVI writes: "The Spirit of Christ becomes the strength of our 'weak' prayer, the light of our 'dimmed' prayer, the focus of our 'dry' prayer, giving us true inner freedom, teaching us to live by facing our trials, in the certainty we are not alone . . . This freedom manifests itself in the 'fruits of the Spirit' which are 'love, joy, peace, patience, kindness, generosity, faithfulness, gentleness, self-control.' "
We have written this book so that each part stands on its own. This means that you can dip in and read for ten minutes or look something up quickly if you like. The heart of this book deals with making a little oratory and perhaps praying all or part of the Liturgy of the Hours there with your family (chapters 3 through 9; you can certainly feel free to go straight there and get started). At the same time, we have tried to present a single, integrated, flowing text, with, perhaps, some inevitable repetition. But that's how our Faith is: no sooner do you feel that you have grasped one aspect of it than you see how it relates to another and, indeed, is contained in it. So, naturally, each section will reflect and illuminate what came before and point to what comes next. We have included some longer sections that explain things a little more deeply. There are many aspects of the Faith, and even of the Domestic Church (the life of the Faith in the home), that we have skimmed lightly over or entirely omitted. Another book would be necessary to go into the particulars of a full treatment of the Mass (including family attendance and how to achieve it); the devotion of frequent Confession; the theology of marriage; many wonderful devotions; family meals and family fasts; a long look at the practice of charity; and no doubt, many other topics. It is our hearty recommendation that you often consult the Catechism of the Catholic Church for a full, beautifully integrated treatment of Catholic life and beliefs. However you use this book, we hope that you will be inspired to continue with your own reflections; above all, we hope that, by getting a grasp of the underlying principles we've tried to set forth, you start to develop your own personal ways of living your faith in the home. After all, only Sacred Tradition is immutable. Human traditions change and develop, are lost and recovered. Perhaps you will be able to work things out better than we have done and write a better book for the next generation!